Smartphones Doogee Top 5 – What’s the Best Doogee Smartphone? Top 5 – What’s the Best Doogee Smartphone? Can Doogee reign supreme as King of the Budget Smartphones? 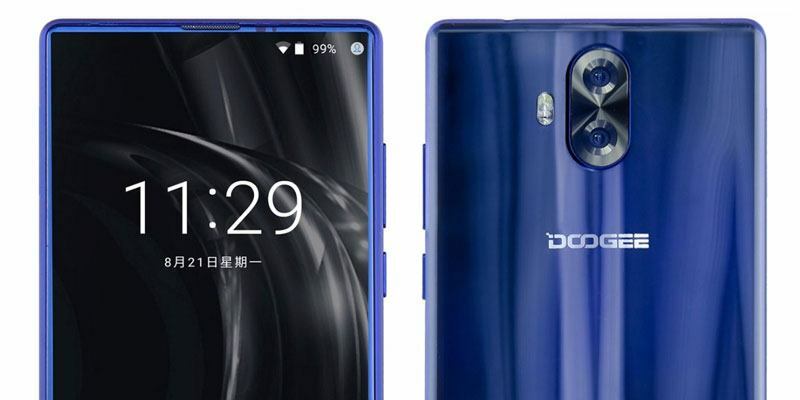 Update: Doogee have changed their strategy in late 2018 / early 2019. Now almost exclusively focussing on their tough & rugged range. If chunky smartphones with big batteries aren’t your cup of tea, then head over and check out the awesome new Xiaomi, UMiDigi and Cubot phones that have recently been released. If you haven’t heard of Doogee before, then you’ll be happy to know that while not a mainstream brand yet, they receive high-praise from the import smartphone community. They started designing & manufacturing smartphones in Spain back in 2013 and after a promising start were then bought out by a Chinese investment firm to boost development of the Doogee brand. They continue to stick to their Spanish roots and remain popular through a variety of football partnerships, but, also have the benefit of now being based in the world’s smartphone manufacturing hub, Shenzhen, China. Since 2013, they’ve impressively released over 75, mainly budget, smartphones giving them the expertise and acumen to know makes a great mobile phone. When smaller mobile brands like Doogee last this long, it usually means they’re doing something right! Fast forward to 2019 and let’s see what are the most exciting Doogee Smartphones you can get your hands-on. Let’s find out which Doogee smartphones have the best combination of hardware and whether there’s a Doogee smartphone our there with your name on it? *Full comparison table with all specs at the bottom. Here are ‘The Best’, ‘The Most Exciting’ and ‘The Best Value’ Doogee Smartphones you can get your hands on in 2019! While not a true flagship, it’s the best smartphone you can get that’s made by Doogee right now. If such a thing exists, the Doogee Mix would be classed as a mid-range flagship. What it’s lacking is a full HD display and top level mobile processor like the Snapdragon 835. What you do get though, is a fantastic Super AMOLED display that covers most of the front of the phone, giving it an impressive screen-to-body-ratio. 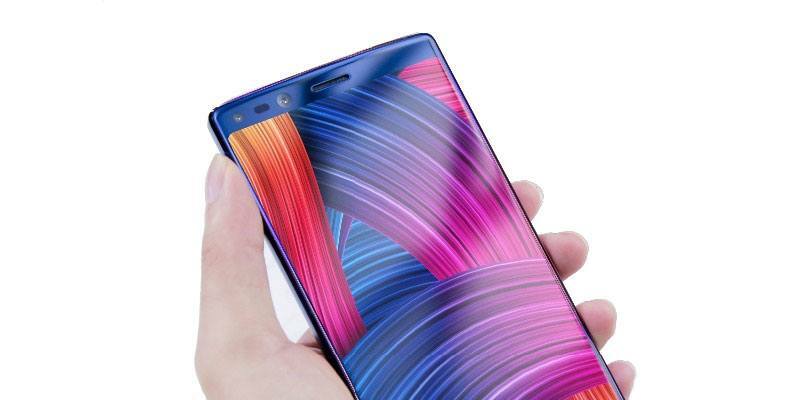 Like the name suggests, its design is a copy of 2016’s Xiaomi Mi Mix which was the first smartphone to feature a tri-bezel-less* design (*where the screen expands to three edges). There are three options to choose from with the Doogee Mix. Available in either 4GB of RAM / 64GB Storage, 6GB RAM / 64GB Storage or a 6GB / 128GB option. Go for the 4GB RAM / 64GB version and save yourself some money as any performance gains from the extra 2GB of RAM will be negligible. If needed, you can then expand the storage using a memory card. And, finally onto the best feature of the Doogee Mix, the price. You can have a super AMOLED display with mid-range performance all squashed into a glass sandwich design that manages to stay under 200 grams for around the £150 mark. 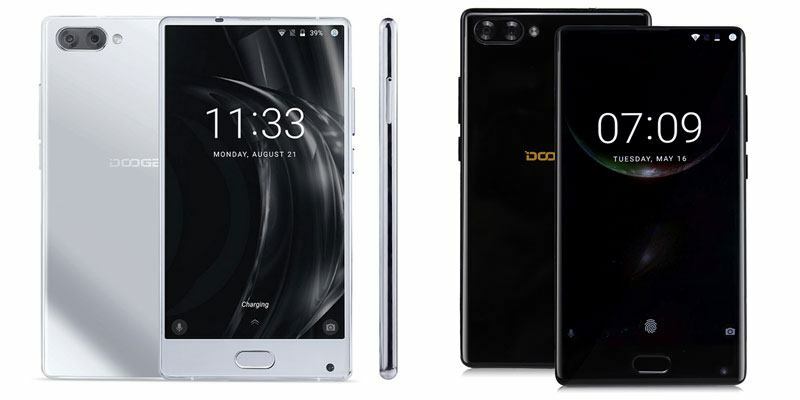 The Doogee Mix 2, while successor in name the Mix above, strays from the tri-bezel-less design and instead comes with thinner bezels and a small top and bottom border. They’ve moved the fingerprint reader to the back and, thanks to the extra room, keep the dual selfie cameras up top. 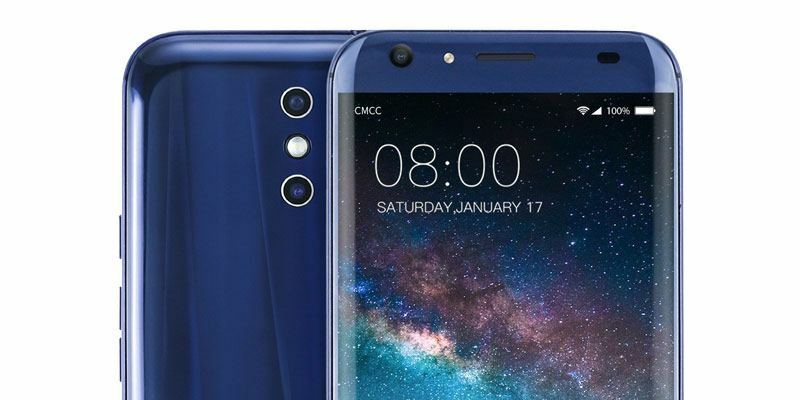 It uses the newer 18:9 aspect ratio for its 5.99″ full HD+ (2160×1080) display making it just as easy to hold as a traditional 5.5 inch phone. While its put some weight on at 210 grams, this comes with the benefit of a 4060mAh battery, 20% bigger than the original Doogee Mix. It’s also one of the first Doogee phones to use USB Type-C meaning no more fiddling around at night to make sure the charging cable is in the right way. With the advent of USB Type-C, Doogee has completely removed the headphone AUX port. There is a USB Type-C to AUX adapter included in the box, but, if your headphones aren’t wireless (Bluetooth) it’s just another annoying adapter you’ll have to carry around with you. In terms of performance, it uses the same MediaTek Helio P25 mobile processor as the Doogee Mix above, and comes with 6GB RAM as standard, plus 64GB’s of onboard storage with an SD Card expansion space. Has the Doogee Mix 2 tickled your tech buds? The Doogee BL5000 comes with, you guessed it, a 5000mAh battery that’ll keep you off-grid well into your second day. It’s a quirky smartphone that won’t be for everyone with it’s pearlescent reflective design, but, during my time with the BL5000 I surprised myself ending up a big fan. View the full Doogee BL5000 review. Packing a huge battery inside has meant that the BL5000 isn’t the thinnest or the lightest, but, it does come with a bright vivid 1080P display protected by Gorilla Glass 5. The performance isn’t on par with the Helio P25 found in the Doogee Mix & Mix 2, but it’s still a smartphone worth considering. The Doogee BL12000 is just plain ridiculous. Doogee claims its won the Guinness World Record for the smartphone with the biggest battery. 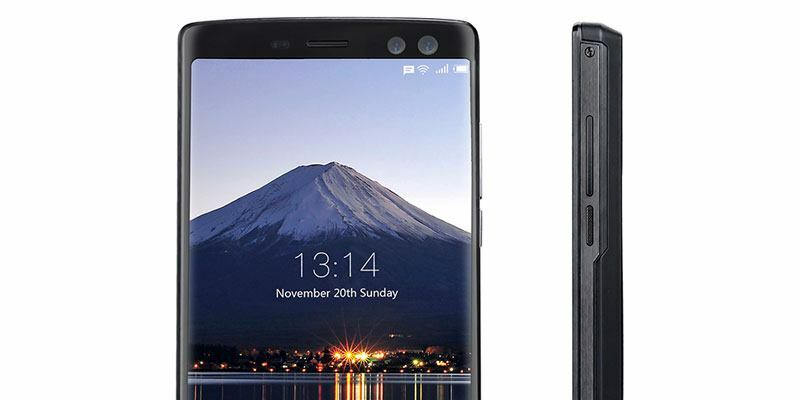 I couldn’t find anything on the Guinness website, but as far as my smartphone knowledge goes, the Oukitel K10000 (10000mAh) would have been the previous owner of that title. Squeezing a 12000mAh battery into a smartphone is no easy feat. To achieve this in the BL12000, Doogee has actually put two batteries side-by-side. So what happens to a smartphone when you squeeze a 12000mAh battery inside? It grows to 140mm in thickness and it makes it weight a hefty 300 grams in your pocket. While that doesn’t sound too crazy, the Doogee BL12000 is one of the biggest smartphones available only trumped by phones in the Tough & Rugged Category. There must become a point when it becomes more practical to carry around a small 5000mAh power bank in your pocket than have a goliath smartphone, right? Battery aside, the Bl12000 is actually packing some decent hardware. A full HD+ display, 6GB RAM, 128GB Storage, Helio P23 2.5GHz next-gen CPU and, of course, the much needed 3amp / 12V fast charging. Want to own the smartphone with the biggest battery ever? The final Doogee Mix comes in the ‘lite’ variety and uses the same design as the original mix but with some hardware tweaks to bring the price down. It loses the Super AMOLED display instead using an IPS display, drops the Helio P25 for a budget chip and only comes with 2GB of RAM & 16GB of storage (still expandable). What does this all equate to? A smartphone that looks just as good as the original but comes in under the £100 price-point. Impressive! It still comes with the same battery capacity of 3080mAh but it’ll last much longer due to the scaled back hardware choices and smaller, more pocket-friendly 5.2 inch display. It’s also a lot lighter weighing in at only 150 grams. It’s a real contender against the UHANS MX plus it even includes 4G. The Doogee S60 is one of the first phones to marry performance with ruggedness. Rugged phones of the past have often had mediocre specs, being seen as a smartphone category for people who don’t care about performance. Well not so with the Doogee S60 which comes with 6GB of RAM, 64GB of storage, is fully IP68 water submersible and also includes high-end features like NFC, Gorilla Glass 5 and a Full HD display. You can find out more about the Doogee S60 here. 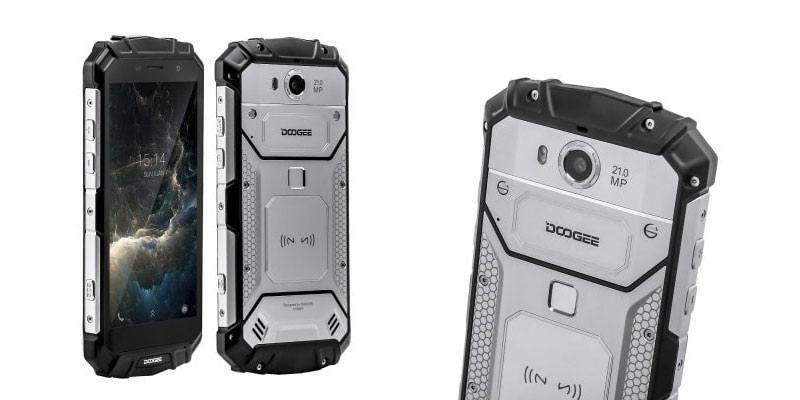 The Doogee S30 takes a different approach to tough & rugged smartphones. It believes you can be tough and beautiful, and well… it’s kind of right! The S30 is IP68 waterproof, shockproof, dustproof but doesn’t look like like a regular tough & rugged smartphone. It features a side facing fingerprint reader and even has a huge 5580mAh battery to keep you off the grid for days while still keeping a low price-tag. The rest of the hardware specs aren’t very impressive with only 2GB of RAM and 16GB of onboard storage, but, this has meant you can get your hands on the Doogee S30 cheaply. 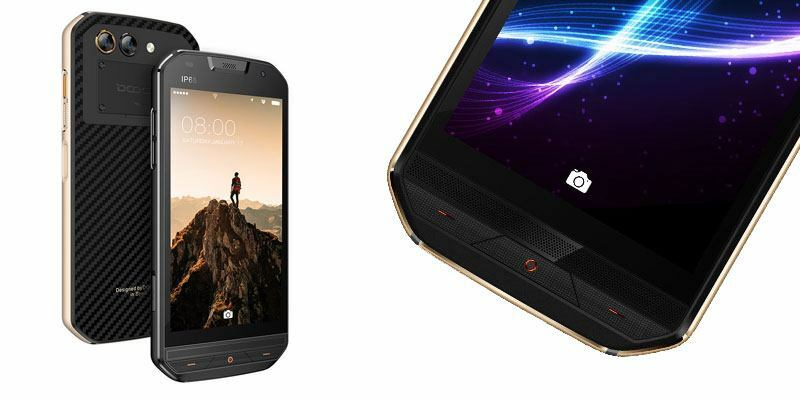 A tough throwaway phone that you don’t care if you break on your adventure. Always dropping your phone but don’t love the 80’s Walkie Talkie design? Should you choose Doogee for your next smartphone? While you’re unlikely to find Doogee in your local mobile phone store it doesn’t mean they’re newcomers to the block. They’ve been around since 2013 producing smartphones for 6 years now. In the time I’ve been writing for www.review-hub.co.uk I’ve seen many brands appear then disappear into obscurity. The fact that Doogee is still around, is a testament to them producing smartphones that are durable and reliable with modern features and design. Of the many smartphones we’ve reviewed here, we’ve found Doogee to be some of the best. While not always cutting edge, or pushing boundaries we’ve found them to be reliable with a good level of build quality.